Encourages youth to develop an understanding and passion for fitness, sportsmanship and teamwork. With different sports leagues and daily gym activities, the youth always have an opportunity to be active. ALL STARS is an organized league sport and fitness program for Flag Football, Soccer, Volleyball, Basketball and Step and Dance teams for youth ages 6 - 18. ALL STARS is funded by Buffalo Wild Wings and aims to increase opportunities for physical activity, social interaction and recognition through organized sports programming for youth. Check out our ALL STAR Basketball League website and get registered here! BI is a Major League Baseball initiative to increase urban youth participation in baseball and softball by re-introducing America’s pastime to underserved communities. RBI provides training to Clubs seeking to start or expand boys’ baseball and girls’ fast-pitch softball leagues for teens. 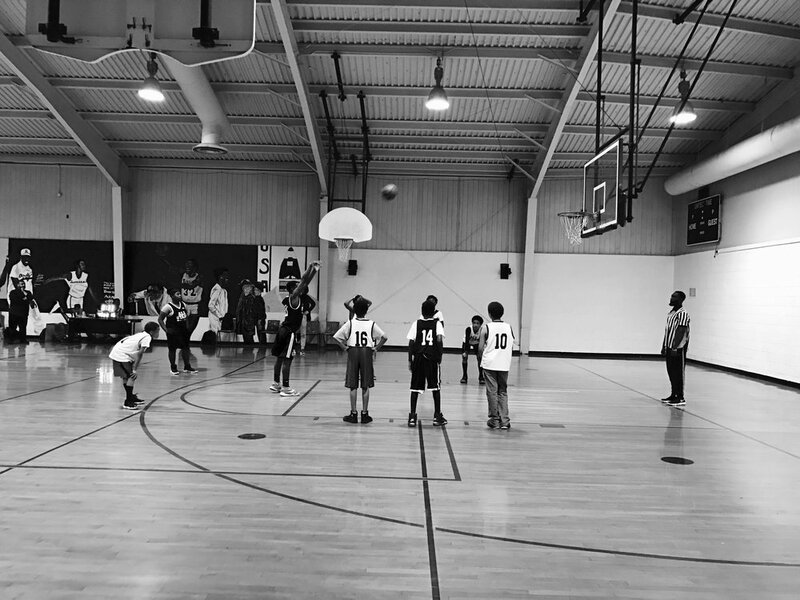 This program is a 5 on 5 drop-in basketball league for teen members and runs for six weeks. Games are first come first serve.